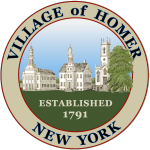 The Village of Homer is home to a diverse array of businesses, non-profits and organizations. You can use the directory below to find a local business or professional to meet your needs. If you wish to be included in the directory or find an error, you can let us know here.